Given the number of personal duels that will be fought out in the Production Vehicle category, the Battlefields 400 is an apt name for round two of the South African Cross Country Series (SACCS) in Dundee on 4 and 5 May. The FIA Class has taken on a new look in this year’s championship with an influx of fresh talent while Class T, through an intense rivalry between the Horn and Woolridge families, has continued to hold the interest among cross country enthusiasts. The Horn/Woolridge rivalry has also taken on a Toyota versus Ford and a privateer versus factory team aspect. The signs of a vibrancy in the FIA Class were there for all to see in the opening event of the season, with six of the top 10 places going to this class. And with reigning champions Johan and Werner Horn (Malalane Toyota) finishing second to Lance Woolridge and Ward Huxtable (Ford NWM Ranger) in Class T, the signs were evident that battle has been resumed between the two camps. As expected the Toyota Gazoo Racing SA pair of South African champion Giniel de Villiers and Rob Howie took the win in Mpumalanga. They look to be the best equipped pair to remain favourites for this year’s overall and FIA Class titles, but Howie will miss the Dundee event. Howie injured his back in a hard landing on the recent Qatar Rally, the fourth round of the FIA Cross Country World Cup. Dennis Murphy will now sit alongside de Villiers with Barry White, who navigated for Toyota Gazoo Racing SA youngster Henk Lategan last year, called into action as Murphy’s replacement. 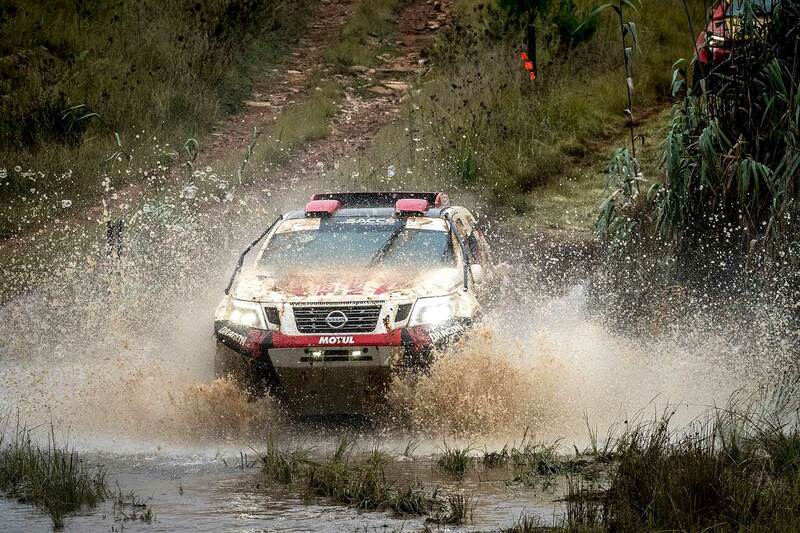 The addition of former SA champion Chris Visser/Philip Herselman (Atlas Copco Toyota Hilux) and Jason Venter/Jaco van Aardt (4x4 Mega World ARB Toyota Hilux) has done much to alter the complexion of the class. In this context Lategan’s move from Class T into the “big league” will be closely monitored. The ELF Renault Duster pair of the steady Johan van Staden and Mike Lawrenson have the ability to make a nuisance of themselves, with the Red-Lined Motorsport team fielding a pair of Nissan Navaras. Luke Botha is paired with Andre Vermeulen, and Dubai pair Thomas Bell and Patrick McMurren make another visit to our shores. A third Red-Lined Nissan Navara will make an appearance in the qualifying race only. Terence Marsh will be using the 45 kilometer qualifying race to evaluate components under race conditions and will be accompanied by wife Sharon, the Red-Lined Motorsport team manager, who is an accomplished sportswoman. The Red-Lined team has already competed in two Middle East events and the Mpumalanga 400 this season, and their next adventure on the international list is the Taklimakan Rally from May 20 to June 1 in China. Marsh and Riaan Greyling finished 16th on the recent Abu Dhabi Desert Challenge, regarded as one of the toughest events on the cross country calendar, with Bell and McMurren finishing 24th. The Class T battle is likely to rage throughout the season and on paper the Horns are outgunned. 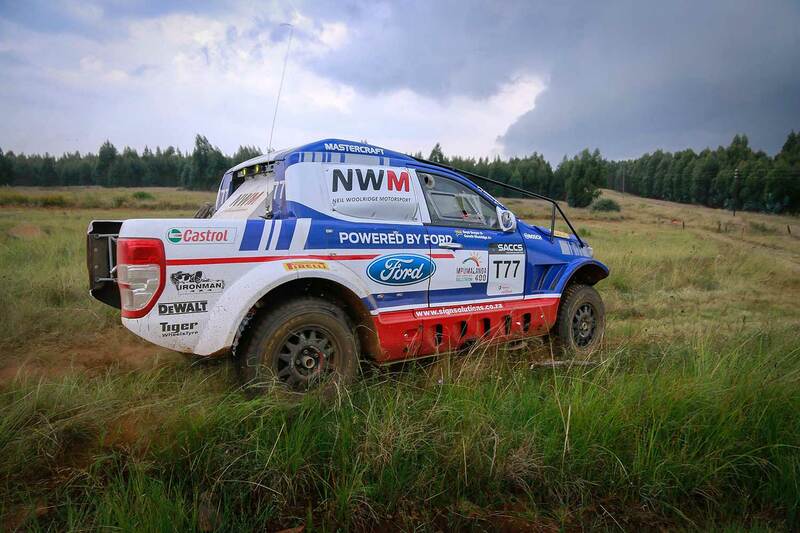 The Ford NWM team can call on a three pronged attack with Gareth Woolridge and Boyd Dreyer and Brazilians Christian Baumgart and Beco Andreotti, who are no strangers to the SA Championship, supporting Lance and Ward. 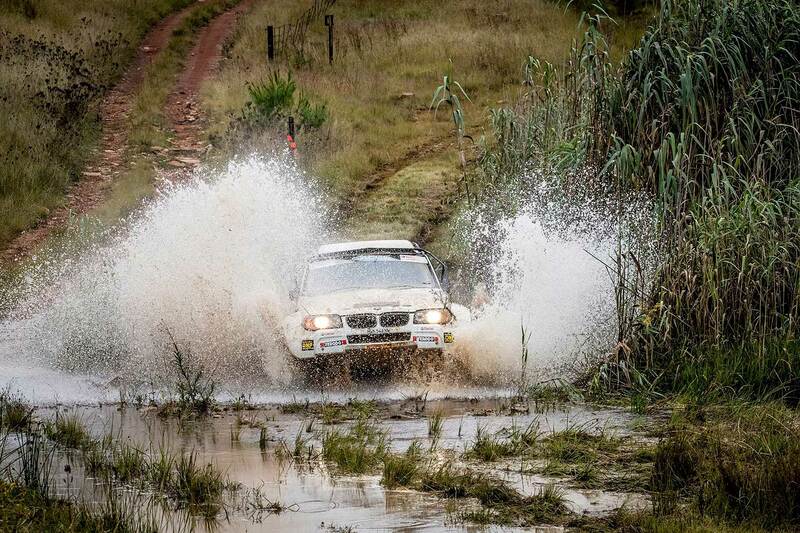 Both teams, however, have to keep any eye out for the likes of Gary Bertholdt/Geoff Minnitt (Atlas Copco Toyota Hilux) who have loads of experience and youngsters Richard Leeke junior and Henry Kohne in the BMW X3. Rookies Dylan Venter/Donavan Lubbe (4x4 Mega World ARB Toyota Hilux), experienced driver Malcolm Kock and Shaun van Staden (Toyota Hilux) and the steady Jacques van Tonder/Sammy Redelinghuys (Ford Ranger) also join the Toyota/Ford fight. Ramon and Maret Bezuidenhout, who are on the comeback trail, will now be out in a new Elf Renault Duster after making their first appearance for a number of seasons in the Mpumalanga 400 in a Toyota Hilux. It means that Class T now has an interesting blend of youth and experience and machinery. Class S appears to be shaping up to be another fight between David Huddy/Gerhardt Schutte (Nissan Navara) and Archie and Kent Rutherford in the Atlas Copco Toyota Hilux. Bragging rights on the first event of the season went to Huddy and the vastly experienced Schutte. The 45 kilometer qualifying race to determine grid positions will start at 13:00 on Friday, May 4 and the main race on Saturday, May 5 at 08:00. All competitors will complete the qualifying event with the route for the main race to be run over two laps of approximately 170 kilometers. SSV crews will complete one loop of the race. For national and regional competitors there will be a compulsory 20 minute service halt and regroup after the completion of the first lap. Dundee is easily accessible from Durban and Pietermaritzburg and major centres in the Free State and Gauteng.